The town of Freeland, as well as the Pierce family, isn't ready for the rise of meta-humans. 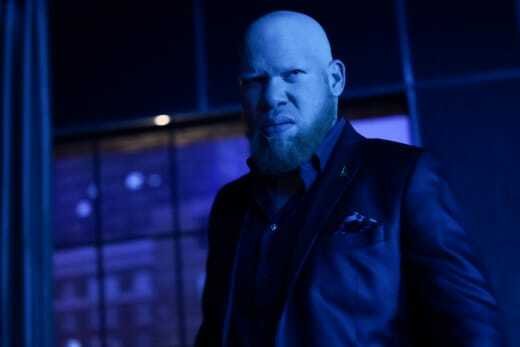 That much was made clear on Black Lightning Season 2 Episode 1. So much has changed since Black Lightning came out of retirement. Meta-human discoveries popped up more frequently, and Jennifer's powers were developing at a faster rate. In both regards, their fears set the spark for potentially disastrous consequences later on. But thankfully, the Pierce family's bond came back as the strongest theme to give hope for the future. "The Book of Consequences: Chapter One: Rise of the Green Light Babies" succeeds where some comic book shows have faltered before: The format and style felt like a plot you'd read in the pages of a comic. And that tone made the opening hour an exciting story filled with heart and electricity. Black Lightning, first and foremost, is a DC Comics superhero. While the story adapted itself for TV, it was great having subtle nods included to honor its original format. For instance, the comic book-style introduction made both my inner and outer geek smile. The opening banner captured the feeling of reading a story arc. This visual effect set the stage for the plot development we were all about to begin. Sure, the moment only lasted a few seconds, but it's the little things that make the biggest impacts. 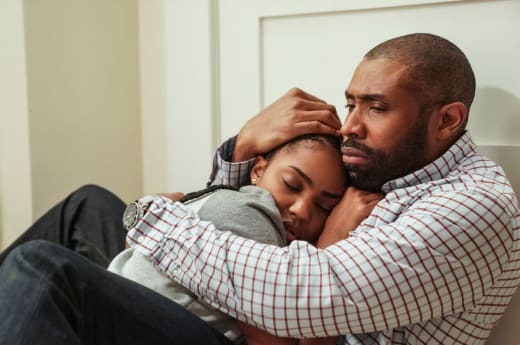 Plus, the strong character relationships and stellar fight choreography reminded us how much we'd missed Black Lightning these last few months! The Pierce family was in good shape to take on the challenges that arose from the discovery of the pods and the green light meta-humans. If you had been watching along during Black Lighting Season 1, you would've seen each family member dive deeper into the mystery. Even Lynn, who had been reluctant about the whole superhero lifestyle, jumped into the fray. They all had gone too far down the rabbit hole to avoid any repercussions. However, their loving and thoughtful mindset would always prioritize taking care of each other first before their superhero responsibilities. Jefferson: This negative news, and Metas. Freeland is gonna start turning on folks with powers. That is the future, Lynn, for Jenn and Anissa. Eventually, they will be hunted, if not by the police, then by the A.S.A. Lynn: Hey, we’re going to get through this, with our family intact. Permalink: Freeland is gonna start turning on folks with powers. I loved their supportive moments because it emphasized the priorities that mattered most to them: Family. Together, they would get through the challenges, like the detectives inching closer to the truth or Jennifer's powers getting out of hand. Jefferson and Lynn, in particular, made decisions that were for the betterment of their children. Even though it had caused a strain in their marriage, they knew making their sacrifices (i.e., Jefferson quitting his job and Lynn being in charge of the pods) could potentially create a better world for meta-humans. I have a feeling these moves will have a more significant impact later on down the line. Like, for instance, the end of school-based plot lines. Jefferson: I’ll step down as principal. It’ll give the board a win; they can hire whoever feels comfortable with to run Garfield. It’ll look like they took decisive action, and the media will eat it, and me, up. Napier: Are you sure you want me to take that back to then? Jefferson: You said it best, Napier. Like Black Lightning and Thunder, I’m trying to save Garfield. Not my job. Permalink: You said it best, Napier. Like Black Lightning and Thunder, I’m trying to save Garfield. Alas, for all the good they did in the end, the parents also made some questionable moves. Why did Lynn cower away from Jennifer after the electric blast? It was an accident, and she knew her daughter would never intentionally harm her. The electricity only came out in the heat of the moment. Still, Lynn had the look of fear and God in her eyes. She was terrified of her daughter in that one reactionary moment; she didn't see Jennifer, she saw the meta-human. The inclusion of Issa Williams' resurrection scene made the perfect connection to this interaction. His mother, who had no powers, came clean about the gratefulness she felt knowing her powerful son had died and was out of her life. I suspect her involuntary candor was due to his meta-human abilities. Introducing this sub-plot showed the negative consequences of when people spurn their loved ones because of their unique differences. Issa had abilities, but he was still their son and brother. Issa Williams ended up lonely, abandoned, and forced on the streets because of fear. Lynn did the wrong thing at first, but she made up for it by admitting her faults and comforting Jennifer. The last thing the family wants is for Jennifer to repress her powers or run away because she felt alone. All they can do is be by her side as she comes to term with her new gifts. Also, kudos for the inclusion of the Jennifer/Issa scenes because it discussed our real-world conversations in their universe! 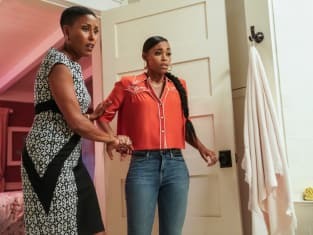 Black Lightning found a way to tackle themes of police violence against people of color, and the fear experienced by LGBTQ+ youth. 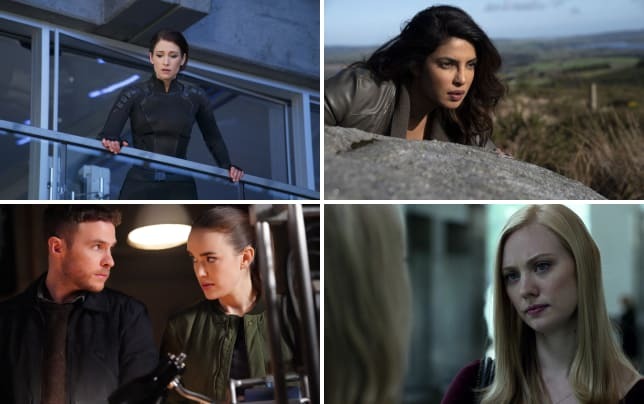 Of course, it revolved around superpowers, but it felt grounded and connected nonetheless. The police officers completely abused their authority when apprehending someone they "suspected" of being a green light meta-human. Whether his powers or ethnicity drove it, they murdered him, plain and simple. The police should be held accountable. 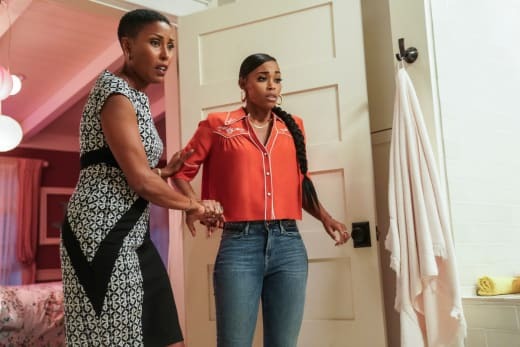 The reaction of Issa's mother, and the fear both Issa and Jennifer felt, shared common LGBTQ+ themes. The teens were afraid of what made them different and not being accepted, and the mother condemned her son for not being "normal." Meta-humans were treated in the same manner as the mutants in X-Men. Characters experienced a lot of inner turmoil about being outed to the public, as well as loved ones. Both topics were handled respectfully and intriguingly. I have a sneaking suspicion the pastor will be the one driving the fear and hate in the Freeland community. You could hear it in his words during the sermon. He wanted to help families get their children back, but he also preached about finding these meta-humans and protecting the town. We might need to keep our eyes on him. He'll either be a supportive ally or a surprise villain. What are your guesses? As compared to Jennifer, Anissa has become more comfortable using her powers. Jefferson could talk for hours about staying out of the pod drama, but Anissa prefers taking the opportunity to help the greater good instead. So, when she broke into the drug den to steal the money for the church, you couldn't have expected anything else from her. It's good that we have the contrast between her and Jennifer. Whereas Jennifer doesn't want her powers, Anissa loves them and wants to use them to give back. Jefferson and Lynn are the moral compasses between them, keeping their daughters from being fearful or vigilantes. At first, her not being dressed as Thunder during the fight seemed off, but it made sense in hindsight for the potential after-effect. No one could know that Thunder was stealing from criminals. She would become a bigger target, and theft never served her motivation and purpose. This third alter-ego, while confusing, helped this one benefit. And, her fight choreography was impeccable and well-executed. The fight might be one of Black Lightning's best. Jefferson had his own drama thanks to the return of that pesky briefcase. 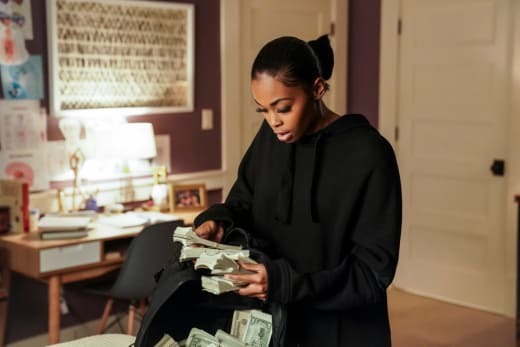 During our review of Black Lightning Season 1 Episode 13, we wondered what happened to Kara when she mysteriously disappeared. Now, we got our answer. Her coming back to help Jefferson and Peter redeemed the character from her nefarious roots. Her actions stemmed from a place of self-survival, but she was going to do the right thing either way. And, she put her agent training to the test in one of the most entertaining fights against Syonide, which was a plus. The metallic high heels as a weapon brought to life every spy gimmick you'd wish for in a 007 flick. Bring on more of these creative fights, please! Syonide: You should’ve accepted my invitation. Kara: B****, you got my hair wet! Permalink: You should’ve accepted my invitation. Her fight against Tobias, on the other hand, left us scratching our hands. 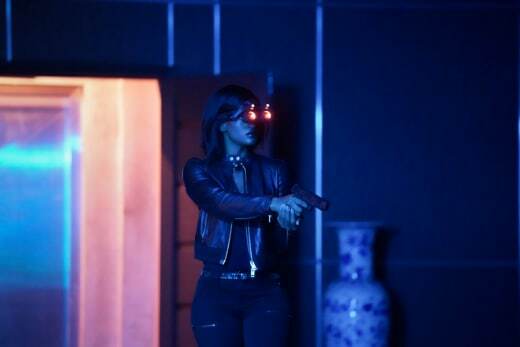 Why did she need night vision goggles? The room was covered in blue light. She didn't need the equipment! Also, why did she jump out the window of a skyscraper? There's no way she survived that fall with a bolt in her stomach. If she did, Kara deserves credit where credit is due; she's a survivor. Also, it was great having Tobias back, but the last fight didn't live up to the anticipation of his big return. Hopefully, his next appearance will bring him back to his full menacing glory. I'm going to miss Syonide! Her performance as the silent assassin was so underrated; she ruled every scene she was in. We didn't need to lose her! Should Jennifer give Khalil a chance? He's bad news, and he hurt a lot of people, but if there were any chance to get him back to the good side, it would be Jennifer. The Pierces are so bad at keeping their identities a secret. 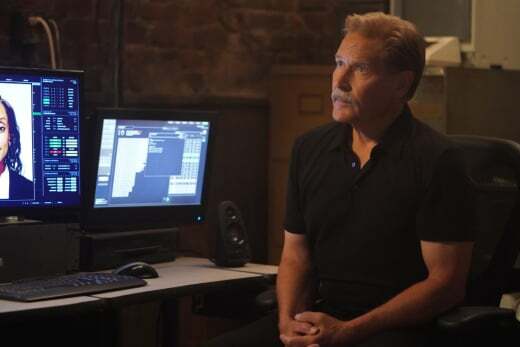 Deputy Chief Henderson found out easily by using logic, Agent Odell is suspicious of Lynn, and it's only a matter of time before Kiesha puts two-and-two together if Jennifer keeps reacting this way. Jefferson and Napier Frank need more scenes together. They have a civil friendship that worked well together. Jefferson was spot-on about his comments regarding the school board. He took the noble path by giving up his job, but the band-aid solutions weren't going to help the larger educational issues. What did you think of "The Book of Consequences: Chapter One: Rise of the Green Light Babies"? Did Kara survive her jump from the window? Will Jennifer start to embrace her powers? Will Jefferson's theory about Freeland turning against the meta-humans come true?